The book cases are becoming an indispensable piece of furniture in most of the contemporary houses , it is a beautiful piece of furniture that is consisting of many shelves to serve the purpose of organizing the cluttered books in a tidy and beautiful way . Bookcases are mainly located in living rooms or reading rooms or house office or even kids rooms , book cases are a brilliant option that serves many purposes, in a decorative aspect book cases can be such a beautiful piece of furniture that adds richness to your room , and from the practical aspect book cases save a big amount of space that cluttered books and different items such as DVDs or photos albums might take where you can tidy and organize your books in an impressive and eye catchy way and preserve them in a good situation far away from dust . 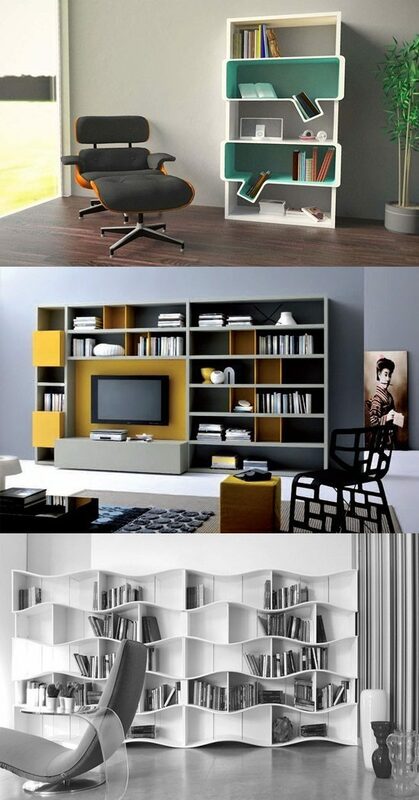 Book cases are mainly made of two materials wood and metal . Most house owners prefer wood book cases though , A sturdy wood book cases mainly made of oak and mahogany these materials can handle a big amount of weight . When you are looking to purchase a book case better you look for book cases that come with glass doors they look elegant and preserve the books in a closed area while the books could still be easily seen from out of the book case , you can organize your books there as you wish according to the subject or the size ,and you can be proud of the eventual touch your book case add to your room . Book cases are also considered an ideal storage system in kids rooms they are now manufactured in many different shapes and colors that would be fun to your kid , a nice looking book case with cute themes of your kid’s favorite colors or animals for example or cartoon characters would be a huge motivation for your kid to read. Buying a book case for your kids room could suffice you from buying storage boxes and even studying desks , book cases with integrated studying desks provide a comfortable studying place for your kid in addition to delighting you kid and motivating him to read and research more and even keep his room always tidy .